Alor island Indonesia is an island located at the eastern end of the islands of Nusa Tenggara. Alor Island is one of the two main islands of Alor Regency, East Nusa Tenggara Province, Indonesia with its capital Kalabahi. Alor Island in addition to having a natural beauty that can be enjoyed directly on the mainland also has the beauty of underwater Alor diving in the form of beautiful rare fish and corals, coral reefs and other marine plants are so very fascinating. 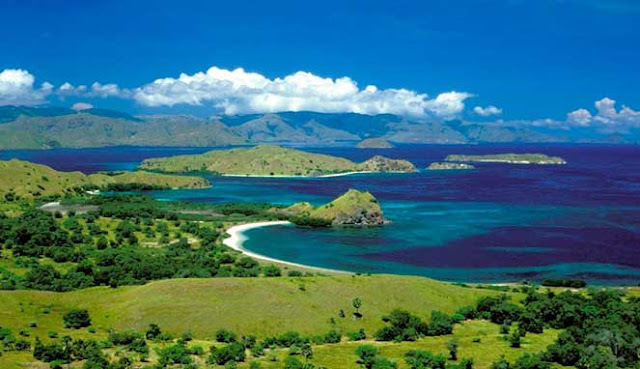 Alor Indonesia consists of 20 islands and 17 subdistricts. In spite of its short name, the Alor Islands store a long list of majestic splendor and dazzling marine wonders up to the unique culture of the people living in the highlands. Alor island diving although not as popular as Raja Ampat or Komodo Island, Alor Island has at least 18 dive spots (Baruna's Dive Site at Alor) the world's favorite divers such as Baruna's Point, Never-never Wall, Cave Point, Barrel Sponge Wall, Mola-mola Point, Night Snacks, Alor Expree / Alor Dreaming, Rocky Point, Three Coconut, Moving Pictures, Eagle Ray Point, Rahim's Point, Tuna Channel, Anemone Country, Sharks Reeway, Octopus Garden, Captain Choice and Refrigerator. Those who have been fortunate enough to dive in the waters of Alor Island say that Alor's underwater splendor defeats the Caribbean underwater world. In his book "East Bali" Photographer Kal Muller describes the waters around Alor Island very pure and natural. Alor island snorkeling is full of interesting creatures. 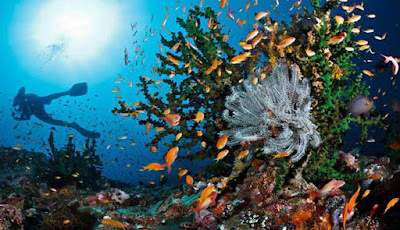 He assumes Alor Island Underwater Tour as a world-class underwater paradise. In addition, Alor island tourism also stores a number of tourist attractions that have a cultural and historical appeal that is seldom touched and visited by locals and tourists. 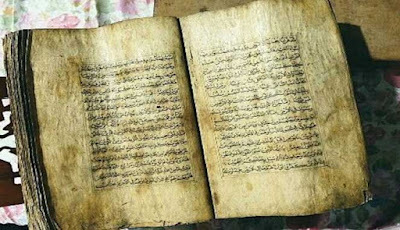 One of them is the old Alqur'an of bark written in traditional herb ink that is estimated to have been 800 years old. Another allure of Alor Island is in Kampung Takpala, a traditional village inhabited by the Abui tribe with a linear village pattern with its unique custom row of houses. Other than that about Alor island is also known as Seribu Moko Island. Moko Island is a small bronze teapot believed to have come from Dong Son Culture, Vietnam. 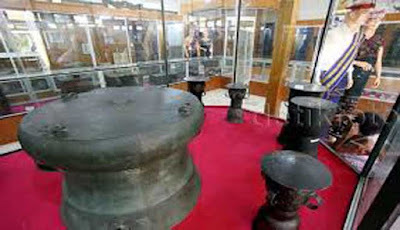 To observe these unique artifacts, you can visit the Thousand Moko Museum located in the main town of Kalabahi, Alor Island. The museum also features a collection of different Alor weaves called Kawate. Alor island travel for those who love adventure, Mount Delaki Sirung in Pantar Island and Mount Koya-Koya on Alor Island is the place. Here the exhausting fatigue will soon disappear with the coolness and freshness of the soul as you see and witness the phenomenon of volcanic geology in Hot Water Village and Waterfall In Medan Island Nature Tourism Park Tuti Adagae on Alor Island. 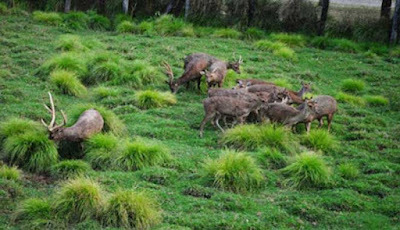 Meanwhile, the deer farming mini ranch (best in eastern Indonesia) is obligatory for you to visit to experience the coolness and freshness of the nostalgic forest as a sign that you have visited this exotic island of Alor. Your name and address will be immortalized on the tree planted in this place and will be remembered forever. Alor island how to get there? Maybe you ask how to get to Alor island? 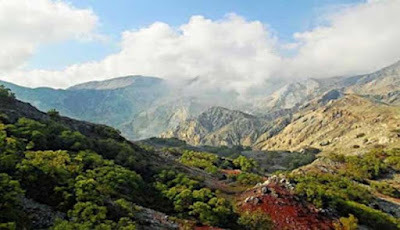 to get to Alor Island, you can take a flight from Kupang, the capital of East Nusa Tenggara Province, Indonesia. From Kupang, there are several airlines that serve flights to Alor island airport Mali in Kalabahi, the main city of Alor Island. Another option to get to Alor island is by ferry boat which will take about 12 hours from Kupang city to Larantuka and then use the wooden boat to Kalabahi Port, Alor Island with travel time about 1 hour.